“Drovers, through editor Greg Henderson, has now demonstrated it can print fake news with the worst of them. In his Aug. 14, 2018 opinion, “Checkoff Legal Battle May Expand to 13 States,” Henderson first implies in his title byline that R-CALF USA is involved with the Humane Society of the United States (HSUS) “and other activists” in its efforts to reform the beef checkoff program. He then drops the HSUS name three more times in his ten-paragraph opinion. “This implication, of course, is purposefully designed to discredit R-CALF USA by implying it is somehow associated with HSUS. That is false. R-CALF USA is not affiliated or aligned with HSUS in any way. The HSUS had no role whatsoever in the ongoing litigation. R-CALF USA is the sole organization involved with this litigation and it approves every word of every motion, brief, memorandum and pleading associated with this checkoff lawsuit. “While R-CALF USA is not working with HSUS or any other animal rights group, there is a real irony here. Henderson attempts to discredit R-CALF USA by partnering with the National Cattlemen’s Beef Association (NCBA) to falsely accuse R-CALF USA of working with an animal rights group. He does this at the same time the NCBA is partnered with the global animal rights group, the World Wildlife Fund (WWF), which is an organization that aggressively encourages high income countries, like the United States, to eat less beef. The NCBA and the WWF are partners in the Global Roundtable for Sustainable Beef (GRSB) and the beef checkoff logo is used to facilitate that partnership. You don’t need to take R-CALF USA’s word on this. Go to https://grsbeef.org/page-1500502 and see the lists of board members and executive committee members for the GRSB. As for the side-by-side beef checkoff logo and WWF logo, go to https://grsbeef.org/resources/Documents/Final%20Report%20Sustainable-Beef-Workshops%2010%2001%2013.pdf. 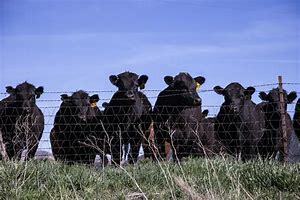 As for the WWF encouraging less beef consumption, go to http://d2ouvy59p0dg6k.cloudfront.net/downloads/lpr_living_planet_report_2012.pdf. “With that distraction out of the way, let’s look at what R-CALF USA has accomplished in its lawsuit. It has protected the First Amendment rights of Montana cattle producers to not be compelled by the federal government to subsidize the private speech of a private entity unless producers first give their affirmative consent. 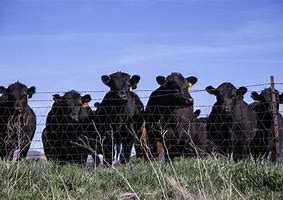 The private speech of the Montana Beef Council and other similarly situated state councils, which all convey the message that beef is beef regardless of where it is sourced, is helping importers capture more of the domestic beef market away from U.S. cattle producers. “We know this is true because the latest (2017) reapportionment of the federal beef checkoff removed two representatives for domestic producers and added an additional seat for importers. Beef checkoff supporters claim the program increases beef demand and beef consumption and, according to their theory, the benefits of increasing beef consumption, regardless of whether it is produced domestically, will trickle down to domestic producers. “This is naive. In 2015 beef demand was as high as it has been during the past 25 years and yet that year cattle prices collapsed further and faster than ever before. Beef consumption has been increasing year-over-year since 2014 and yet cattle prices remain well below 2014 levels. If meatpackers can source unlimited amounts of undifferentiated imported beef to satisfy the shortfall of U.S. beef production, they can and do leverage down domestic cattle prices.